Through repurposing, you can take one topic, data set, or idea and turn it into multiple pieces of content that can work for each stage of the sales funnel. The problem many marketers have with effectively using various types of content marketing is when they focus on only one part of the buyer journey. They pigeonhole themselves into creating all of their content for boosting awareness (i.e., top of the funnel) or generating conversions (i.e., middle and bottom of the funnel). This lopsided strategy won’t work because it fails to hit consumers at each part of the buyer’s journey. These missteps lead marketers to drop the ball with their content efforts. We’re here to clear up any misunderstandings about the different types of content marketing that are possible and show you how to use content marketing to optimize your efforts for each level of the sales funnel. Before creating any type of content marketing plan, you should know your end goal. Are you aiming to raise general awareness of your brand? Are you targeting prospects who are likely interested in your product or service? Or are you cultivating the relationship with those on the verge of becoming your customer? The answers to these questions will help you identify which part of the sales cycle you want your content to target. Remember, you can’t create a solid content strategy without knowing the results you want to achieve. These content marketing types are designed to appeal to authoritative sites that drive traffic and generate links, and for these reasons, the best content is something that has mass appeal. A great way to do this is through emotionally driven visuals. By nature, we are visual creatures, and our brains connect with images much faster than with text alone. In fact, an MIT study found the human brain can process an image in as little as 13 milliseconds. Because our brains are wired for quickly absorbing and interpreting visuals, content that includes strong graphics works well in this part of the buying cycle. Take a look at Reverse Photoshopping. 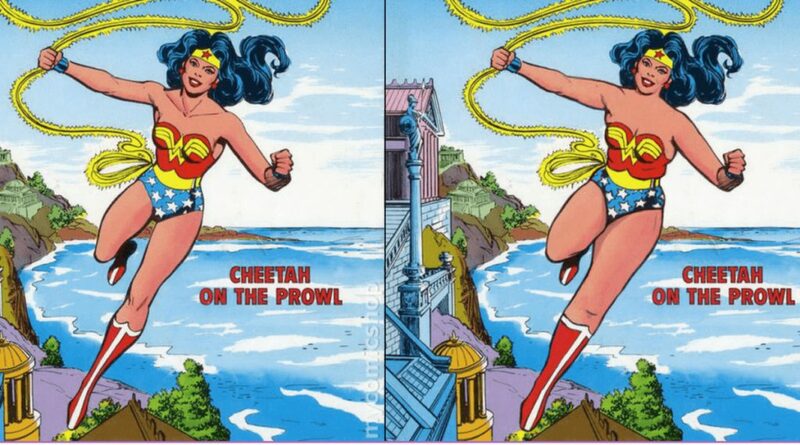 We used images of comic book heroes altered to have normal body types. It’s a shocking visual that clearly resonated with audiences – it earned over 100,000 shares on social media. Another popular component of an effective viral campaign connects content with a controversial topic. In Perceptions of Perfection, we tapped into the heated discussion of women and their all-too-common unrealistic depictions. By creating a visual that connected to an emotionally charged topic – and expanding the reach by including designers from 18 different countries – we were able to generate nearly 1 million social shares. Keep in mind that when you’re creating content where the goal is virality, make sure it’s easy to share. When people can share your content quickly, your audience will automatically help with your outreach efforts and continue to spread the content across the internet. We played into this strategy with Your Face as an Alcoholic. It included an interactive app that enabled users to upload their photo and see what the effects of methamphetamine usage would look like on themselves. This encouraged people to share their image and helped the campaign become one of our most successful to date. Aside from something visually appealing, authoritative sites are always looking for new, original data to share with their audiences. For example, in Twitter Reading Levels, we analyzed more than 500,000 tweets to create a data-driven story about literacy rates across the country. This unique data set made into eye-catching infographics helped catch the attention of over 250 publishers (see People’s coverage below). 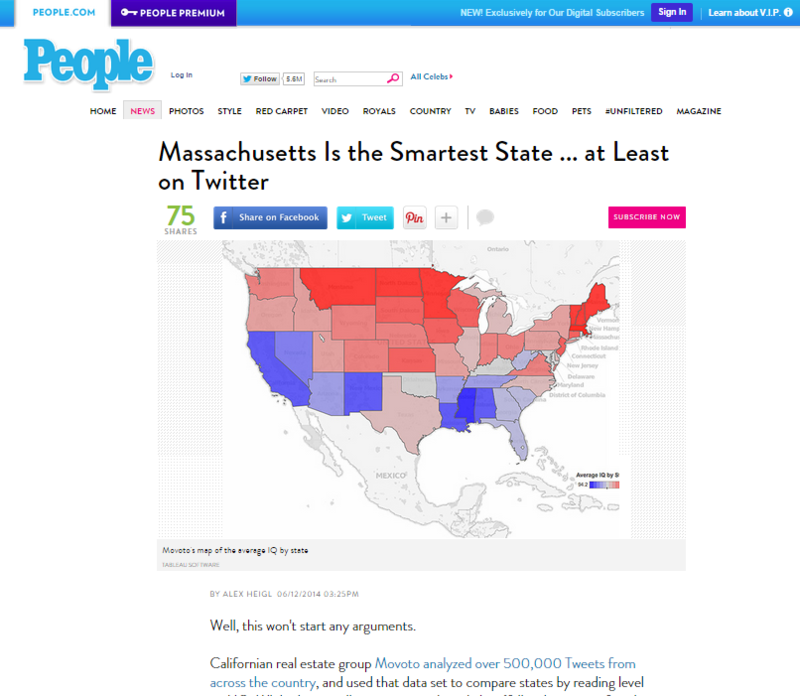 This campaign also hit the mark of attracting audiences by appealing to their egos with what we call geo-bait – a characteristic of high-quality content that often features maps and results in readers wanting to see how their geographic location (i.e., state) scored and compared with other states. Other types of content marketing campaigns that have broad appeal will take a data set that is not readily available and present it in an easily digestible format. For Movoto’s Wealthiest People campaign, we created a map that broke down relatable data by state. This built-in geo-bait made it interesting to people across the country, which helped it earn coverage on 130 top-tier publishers including Yahoo, The Washington Post, and The Huffington Post. Our Video Car Evolution morphing GIFs for eBay were easy for readers to consume and share. We used visuals from over 60 years and kept our reach wide by including four popular car models. The strategy of creating simple yet compelling GIFs to attract the massed worked: The campaign was featured on almost 175 sites. Checklists can be created for a nearly endless list of topics, and they’re a great type of content marketing for the first stage of the sales cycle because they’re highly useful and easily shared. Readers don’t have to need what your brand has to offer at that time to use the checklist. However, it’s an excellent way to introduce your company to new audiences and has your brand at the top of mind for when your product or service is needed. 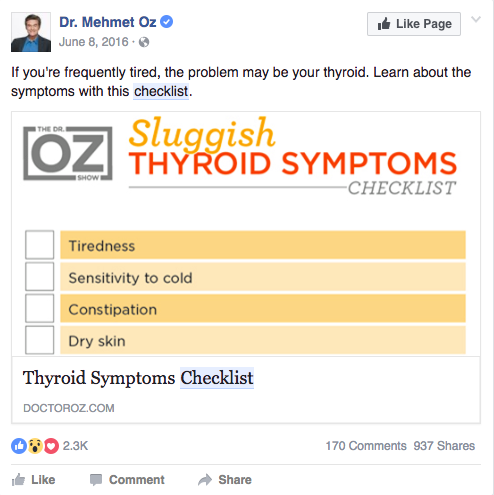 The DoctorOz.com team found success with a checklist about health symptoms relating to a thyroid problem, and broadcast it on their social media account (see below). This type of content marketing attracted readers who were interested in learning more about thyroid issues, but it also put their brand in front of new audiences via social sharing. Entertaining campaigns are another type of content marketing that attract new audiences because they appeal to a broad group of people. 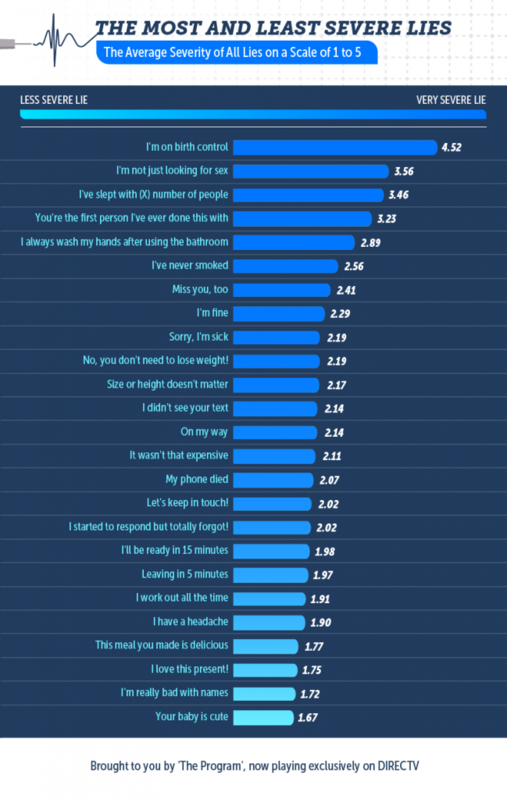 For example, we created White Lies: Where Is the Line? campaign for DIRECTV by surveying 2,000 people for their opinions on lying. The results sparked so much conversation – and opinions – that the Today show featured it on one of their segments. Nearly 250 publishers mentioned it as well, which was exactly the type of awareness coverage our client wanted. 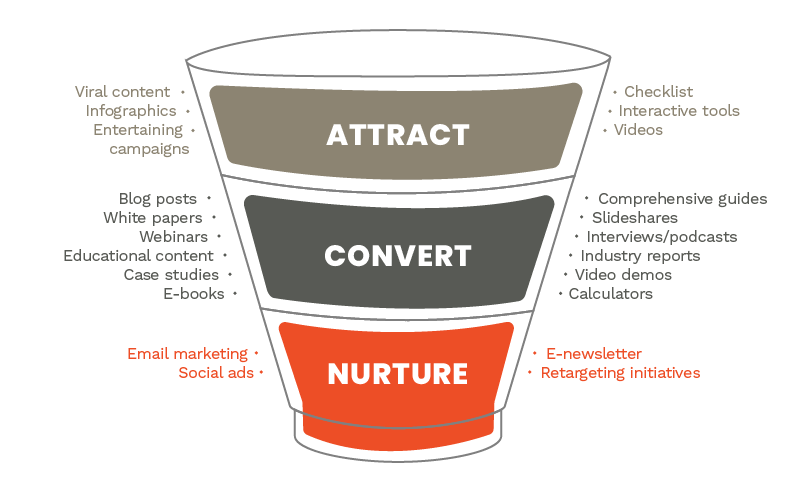 Now that we’ve examined the types of content marketing aimed at the top of the funnel, let’s go to the next stage: conversion. When you are no longer attempting to connect with a wide, relatively unknown audience, you can focus on content that speaks directly to your target consumers. This is known as conversion-driven content. Conversion campaigns are designed to target consumers in a specific market and lead them to sales on your site. This type of content marketing is hyper-targeted to a specific audience that’s probably already familiar with your brand and interested in learning more or actually making a purchase decision. It’s important to remember the consumer doesn’t begin the buying process knowing they need a product. Typically, consumers start the buyer journey knowing they have a problem, so content that offers a solution is a great way to drive conversions. 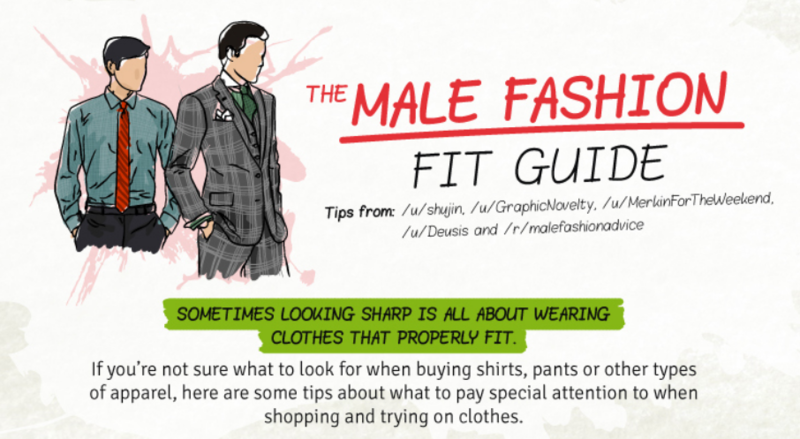 In The Male Fashion Fit Guide, we targeted men looking to upgrade their wardrobe by offering a comprehensive guide to finding the perfect fit in shirts, shorts, pants, and ties. After providing the consumers with wardrobe guidance, the content leads the audience to buy those products directly from eBay. A calculator or other interactive tool that shows how your product or service will have a direct impact on your buyer’s performance or quality of life is another type of content geared toward conversion. For example, the Fractl Marketing ROI Calculator is one of our biggest traffic drivers. Why? Potential clients want to know if content marketing will achieve the results they want and how advantageous it is for their bottom line. Our calculator allows users to place specific values on traffic, social shares, links, and major press coverage to see if it’s the right solution for their particular needs. 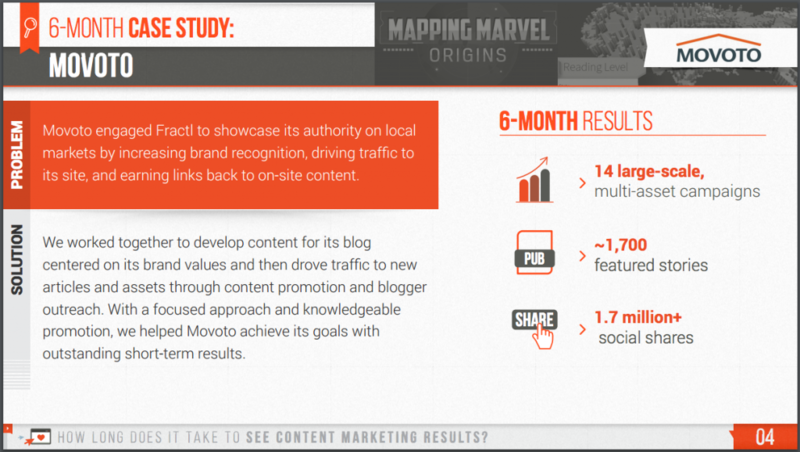 The content marketing ROI results are something tangible that marketers can use in their decision-making process. White papers are an excellent format for providing prospects with answers to their questions regarding your product or service. You can design them in a way that’s appealing to your target audience and set up a gated entry where readers have to provide their basic information (e.g., email address) to access it. Let’s go over some specific examples for a few of these. The breadth of ideas and concrete examples in the post indicate that we have a firm grasp on how to create and promote all types of content marketing. This positions us as a highly qualified content marketing agency, instilling trust and alleviating anxiety in potential clients. 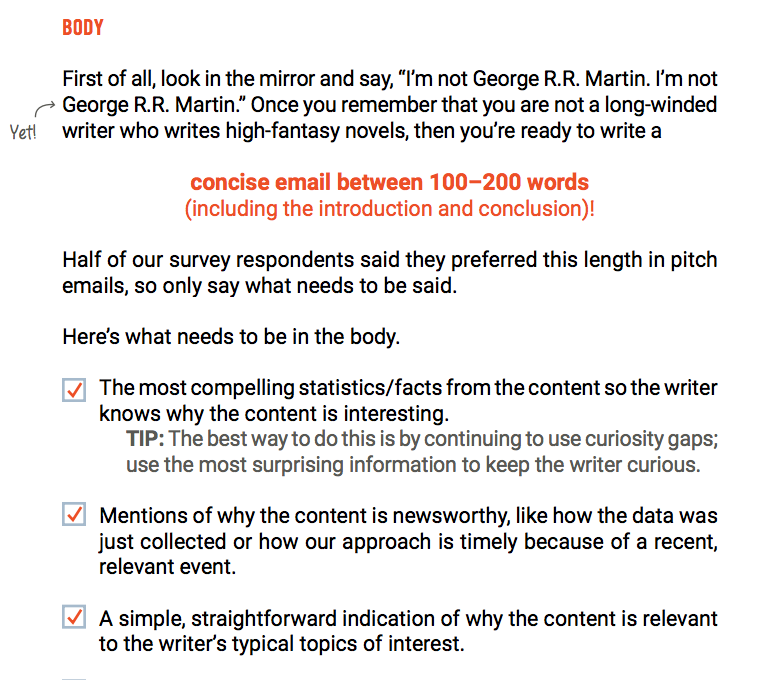 At the end of the blog post, we included a link to sign up for our e-newsletter that would help prospects increase the efficiency and effectiveness of their content marketing efforts. Those leads who converted by signing up for our e-newsletter were likely to convert again after entering the “nurturing” stage and learning we have a strong reputation in the industry. When you have an abundance of exclusive research, compiling an e-book is a great way to convert leads. E-books allow you to showcase your internal data and results as well. For instance, our Tell-All Guide to Digital PR reveals our outreach strategies with real examples of pitches our media relations department has sent to writers and editors. The value that many of our leads have found in the e-book, though, is the dozens of practical tips for everything from tracking down influencers to structuring the body of your email. Positioning us an authority on the topic, the in-depth information demonstrated that we can be trusted for digital outreach. To access the e-book, prospects had to convert by providing their email address. Those leads who went on to read the e-book and reach out to us for a free consultation proved to be of high quality. Whether you’re the subject or the host, interviews are an ideal platform for demonstrating your expertise and winning over prospects. Our associate director of marketing, Kerry Jones, appeared on an episode of Evolving SEO’s Experts on the Wire podcast. The high-quality leads we received from it were impressed with Kerry’s knowledge and the type of content marketing results we’ve achieved for clients – which Kerry used as examples in her discussion with the host. Once your content marketing efforts have drawn leads in, you shouldn’t stop there. Keep reading for the next stage. This phase of the buying cycle is suited for your leads who have either converted in some way (e.g., requested to be on your subscriber list) or who have purchased from you already. These are the people you really want to continue impressing – not lose sight of because you’ve already hooked them. providing value to existing customers. The second part of this encourages not only repeat customer activity but also brand sharing. This occurs when customers or clients are so pleased with your product or service they happily spread your brand’s message. Of course, your friendly customer service, speedy shipping, etc. could spur positive conversations about your company, but high-quality content can result in customers becoming brand ambassadors as well. Now that you know how content can be used effectively across all stages of the sales cycle, you probably have one last question: How do you find the resources to create content for each stage? For organizations with limited resources, the amount of content needed to hit each stage of the buying cycle may seem a bit overwhelming. But there is a trick to creating enough content to fill all phases of the cycle: It’s called repurposing. For example, you can repurpose multiple blog posts that were originally designed to generate awareness into a white paper that targets a consumer further down the funnel by making it more specific and adding more relevant examples. By simply updating or reformatting your content, you can reuse it in different phases – ultimately maximizing your resources and optimizing results. When the right content marketing types are present in each stage of the buyer journey, they’re an extremely effective way to increase visibility, generate leads, and close more sales. You’ll want to outline a content strategy that hits each phase of the cycle to get the most leverage out of your efforts. Learn more about creating viral content for your brand. Reach out to us today.